On that same day, a day that must be acknowledged as the public and official recognition by the Church of the apparition of La Salette, the Mother of God was also appearing in the little village of Knock, Ireland. In other words, on August 21, 1879, we have Our Lady of Knock gazing in the direction of La Salette and Rome on the exact day, perhaps even the same hour, as the ceremonies recognizing the Apparition of La Salette were occurring. If we are looking for messages and meanings in the silent apparition of Knock, here I believe Our Lady could not be clearer. 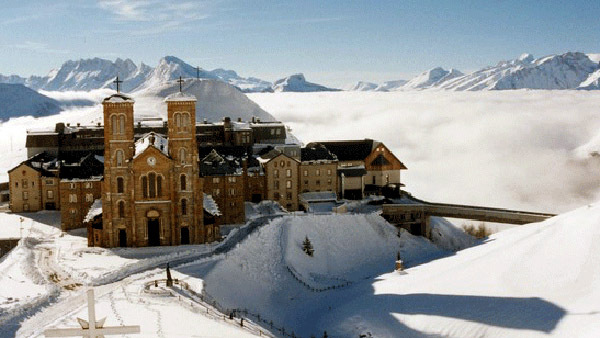 Her appearing on that specific day means she is making a connection with La Salette and its message. She is letting us know that the apparition at Knock must be seen in light of the dire message sent at La Salette. 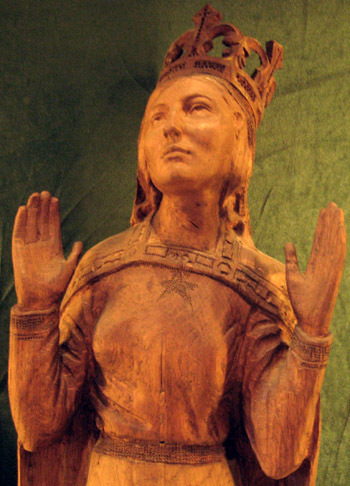 By appearing precisely on that day, she is signifying that the Knock apparition should be seen as part or a development of the La Salette apparition. I see no other possible conclusion. Authentic apparitions of Our Lady are far too rare for this to be a mere coincidence of dates. It is interesting to note that the precise times of the beginning and the end of the Knock apparition are unknown. As can be read in the testimony of Margaret Byrne, below, the apparition began before anyone was there to see it. By all accounts, Our Lady was appearing before anyone arrived; she remained while people were coming and going, and she stayed even after everyone had left. Actually, in a house neighboring the site where the apparition took place, a lady named Mrs. Campbell was dying, and during the apparition someone shouted for help from her house. The village people who were still viewing the apparition ran to help the dying lady; when they returned the apparition was gone. In other apparitions, Our Lady seems to arrive only when there are witnesses, who also watch her leave. In this case, it was the opposite; Our Lady arrived before the witnesses and remained even after the viewers left. 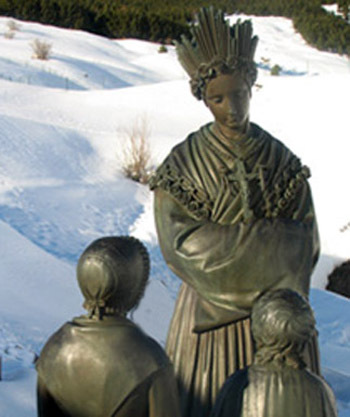 One possible message that Our Lady might be sending is that the time and duration of the appearance of Our Lady at Knock was not dependent on the presence or absence of witnesses, but on what was happening at that time with the ceremonies of La Salette. So, we should understand the crisis as something permitted by God for His final victory and greater glory. For the glory of the Lamb of God, which also appears luminous over the altar in Knock as well as in the Apocalypse. It is something that invites us not to despair, but to trust Our Lady and Our Lord. Also the presence of St. Joseph, Protector of the Church, in the Knock apparition sends the message: “No matter how grave the crisis may be, I will continue to protect the Church and lead her to a safe port as I did with the Holy Family. You, the faithful, must have recourse to me and my Most Holy Spouse, the Virgin Mary, in this crisis.” Again, the message is to increase our confidence in the supernatural. I believe that these points are valid developments of the message of La Salette, which we must take into consideration given that Our Lady chose to appear in Knock on the precise same day when her apparition of La Salette was being officially recognized by the Church. I, Margaret Byrne, live near Knock chapel. I am sister to Mary Byrne, who has seen the vision. I remember the night of 21 of August, I left my house at half-past seven o’clock, and went to the chapel and locked it. I came out to return home. I saw something luminous or bright at the south gable, but it never entered my head that it was necessary to see or inquire what it was. I passed by and went home. Shortly after, about eight o’clock, my niece, Catherine Murray, called me out to see the Blessed Virgin and the other saints that were standing at the south gable of the chapel. I went out then and ran up to see what was to be seen. I there beheld the Blessed Virgin with a bright crown on her head, and St. Joseph to her right, his head inclined a little towards Our Blessed Lady, and St. John the Evangelist to her left, eastwards, holding in his left hand a book of the Gospels, and his right hand raised the while, as if in the attitude of preaching to the people who stood before him at the ditch. The Virgin appeared with her hands uplifted as in prayer, with eyes turned towards Heaven, and wearing a lustrous crown. I saw an altar there. It was surrounded with a bright light, nay, with a light at times dazzling, and so too were the other figures, who were similarly surrounded.